The big unveiling of the NCAA Tournament brackets revealed a lot of local hoops fans will be fixed on the East Region, where Maryland, Virginia Tech and VCU landed. See where and when the teams of local import will open their tournament run. The big unveiling of the NCAA Tournament brackets revealed a lot of local hoops fans will be fixed on the East Region. Maryland is the 6-seed in the East, and will play the 11-seed winner of the First Four game between Belmont and Temple on Thursday at 3:10 p.m. in Jacksonville, Florida. 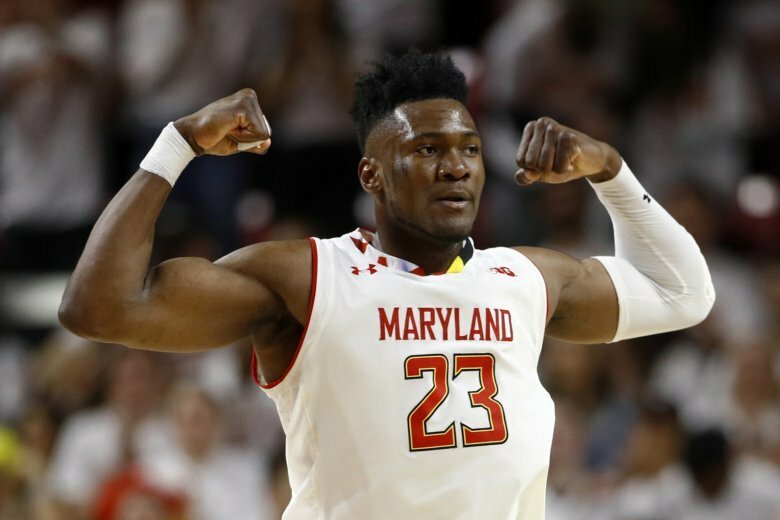 The Terps, one of eight teams from their conference to earn a spot in the tournament, are back in the Big Dance after missing it last season. Losing to Nebraska in the Big Ten quarterfinals is an unsightly way to end the regular season, as was a late-season 17-point loss to Penn State, which means the Terrapins have lost three of their last four games, and four of seven. Also in the East Region, 4-seed Virginia Tech, making their school-record third straight trip to the tournament, plays 13-seed St. Louis on Friday at 9:47 p.m. in San Jose, California. The Hokies have been grinding through games without injured point guard Justin Robinson (foot) since late January, and fought their way to six wins in their final 10 regular-season games. Virginia Tech beat Miami in the second round of the ACC Tournament before Terance Mann hit a wild off-balance runner with 1.8 seconds left in overtime to help Florida State advance to the semifinals. Hokies coach Buzz Williams said Thursday Robinson is “making progress.” Williams said team medical staff will take new pictures of foot injury on Sunday. On the same side of the bracket, 8-seed VCU takes on 9-seed Central Florida on Friday at 9:40 p.m. in Columbia, South Carolina. The Rams return to the NCAA Tournament for the eighth time in the nine years. VCU won just 18 games last season, its fewest since going 18-10 in 2002-03, and missed the postseason for the first time in more than a decade. Coach Mike Rhoades, now in his second year at the helm, led the Rams to a program-record tying 16 win in A-10 play and just their second regular-season title since 2008-09. The led the conference in scoring defense (61.6 points per game, No. 10), scoring margin (plus-9.8), field-goal percentage defense (.384, No. 6 nationally), 3-point field-goal percentage (.276, No. 3) and steals per game (8.0). For the second straight year, Virginia is a 1-seed; the Cavaliers top the South Region, which means a date with 16-seed Gardner-Webb on Friday at 3:10 p.m. in Columbia, South Carolina. The Cavaliers have won or shared four of the last six ACC regular-season titles, including each of the last two. Coach Tony Bennett’s squad is known for its defense — Virginia leads the nation in scoring defense at 55.1 points per game (the only team allowing fewer than 58) and is No. 4 in field-goal percentage defense (.380) — but is, perhaps, better known for becoming the only No. 1 seed in NCAA Tournament history to lose to a No. 16 seed after falling to 74-54 to UMBC in 2018. U.Va.’s only losses this season have come against Duke (twice), the ACC Tournament champion, and No. 12 Florida State (in the ACC semifinals). Virginia has the fourth-best odds to win the NCAA Championship at 8-to-1. Joining Virginia as top seeds: Gonzaga, North Carolina and overall top seed Duke. This is just the second time three 1-seeds hail from the same conference (ACC). Old Dominion, led by former Virginia and American coach Jeff Jones, earned a 14-seed in the South Region and will face 3-seed Purdue on Thursday at 9:50 p.m. in Hartford, Connecticut. It’s ODU’s first NCAA Tournament appearance since 2011. Old Dominion needed two big comeback wins to reach the Conference USA’s title game against Western Kentucky. Ahmad Caver made a fall-away 3-pointer with 3.3 seconds left to top Louisiana Tech and Xavier Green made a one-handed shot while being fouled with four seconds left to lift ODU past UAB. Old Dominion, the eighth-stingiest scoring defense in the latest NCAA statistics (61.2 points per game), won three conference tournament games by a total of nine points. In the NIT, Georgetown is a 3-seed and will host Harvard Wednesday at 7 p.m. It’s the Hoyas’ first appearance in either tournament since 2014-15.